For this lesson, which happened to coincide with classroom discussions of 9/11, the fourth grade students discussed the word "patriotism." 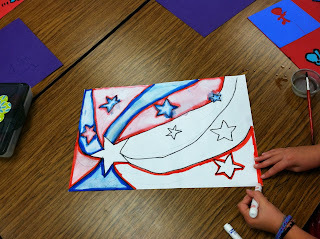 We talked about what it meant to be proud of where you come from, and how we can show respect to our country and its symbols. 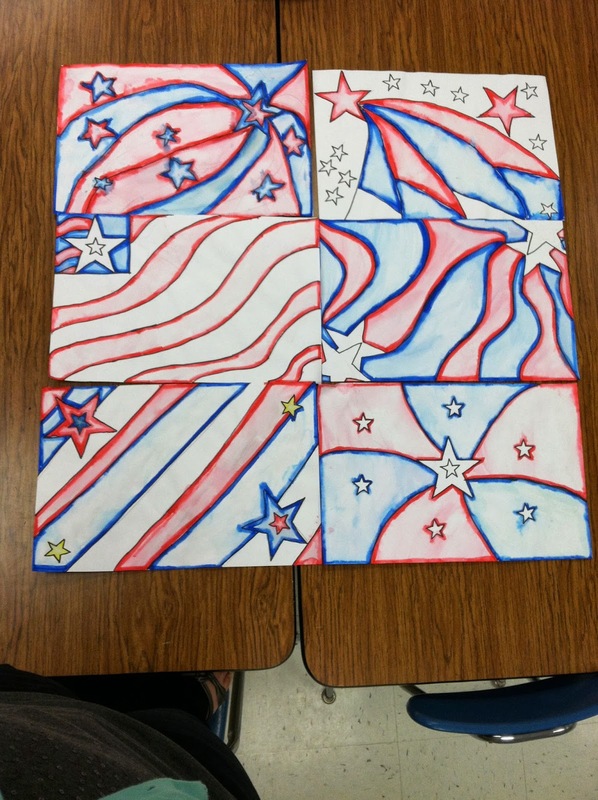 The most recognizable symbol of our country is our flag. We discussed how the design of the flag has changed since its original creation, but its meaning remains the same. We also looked at paintings and drawings from Pop Artist Jasper Johns of the American Flag. It may look different the way he painted it, but we recognize parts of it, and we remember our country every time we see that symbol. 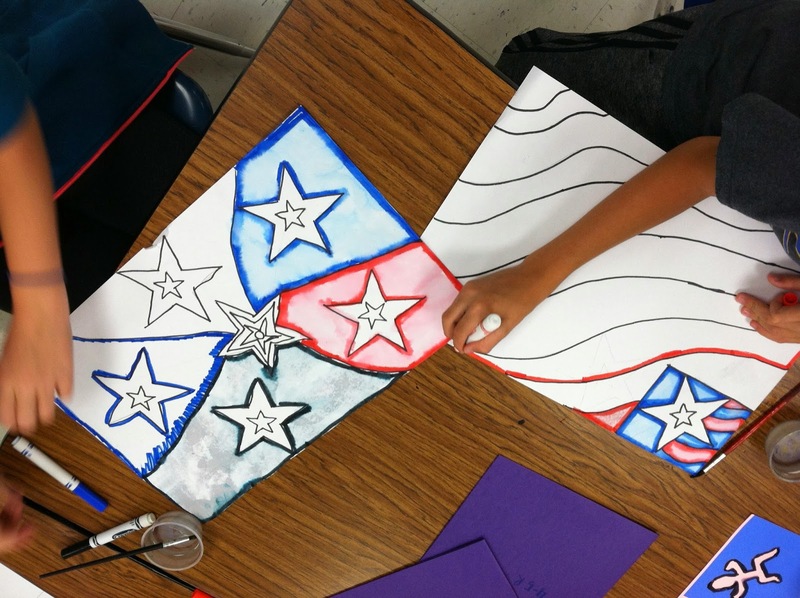 The goal here was to "re-imagine" the symbols in the flag into something patriotic that still represented our stars and stripes, and red, white and blue! We used stencils and permanent markers to create the designs, and used washable markers and water to fill in the spaces. The kids had so many great ideas!